$150 of the registration fee can be applied to NDEDIC Membership if you decide to join within 30 days of the conference. This Registration includes membership through the end of 2017. NDEDIC's annual EDI Summit brings together a network of dental industry leaders committed to transforming the business of dental care through the use of electronic commerce. 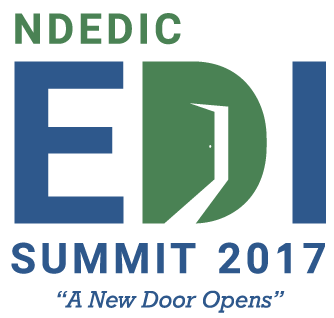 Save the date for the 2017 EDI Summit, May 1-3, 2017 at the Talking Stick Resort in Scottsdale, AZ. The Summit will be focused on industry trends and legislative/regulatory actions that impact dental business operations. Attendees will also breakout into interactive work groups to develop best practices and guidance documents for streamlining dental EDI practices, lowering operational costs and ultimately increasing patient safety. This annual industry event provides excellent opportunities to network with colleagues and collaborate on further improving electronic data exchange for all stakeholders. Want to secure exhibitor space early? Contact the NDEDIC Office at 480 289 5767. 3:00 p.m. - 4:00 p.m. EDI 101 Payers & Clearinghouses FREE! 3:00 p.m. - 4:00 p.m. EDI 101 Dental Office Providers, Practice Management Systems FREE!! 6:30 a.m. - 7:30 a.m. "Dental Dash"
We are excited to host the EDI Summit at the Talking Stick Resort, a venue with virtually every accommodation from a full-service spa and championship golf course to award-winning dining and upscale shopping. We have a 72-hour cancellation policy. Failure to cancel 72 hours before your scheduled arrival will result in a charge of one night’s room plus tax. The 72-hour cancellation does not apply to special promotions or events with an otherwise stated policy. Any changes are subject to rate and stay restrictions. Cancellation policies may vary depending on the rate or dates of your reservation. Please refer to your reservation confirmation to verify your cancellation policy. Want to be an Exhibitor or Sponsor?